" I began to think of myself as a product for sale as opposed to an artist with a unique voice. David Chapman wrote an essay for HowlRound back in 2011 about his experiences venturing into solo performance. He had been trying to establish himself as a director in New York for years and was reluctant to identify himself publicly as a multi-disciplinary artist, thinking it would somehow diminish his momentum as a director. It is a great essay exploring why many artists settle into a single interpretive role in the theatre and how exhilarating and perhaps uncomfortable it can be to take control of your own artistic voice. I returned to this essay recently after a brief conversation I had with a local Dallas drama critic. She had returned to see my play DINOSAUR AND ROBOT STOP A TRAIN for a second time. I was glad about this, since the opening night performance she had seen was the first public showing and, of course, the piece has become better and better with each performance for subsequent audiences. We got off on a line of conversation about how many local theatre artists don't see themselves as instigators of their work, but merely guns-for-hire who perform or direct or design for whatever they may drift into. I mentioned that in 2009 while on a cross country road trip from Texas to Winnipeg I read John Southworth's book SHAKESPEARE THE PLAYER. 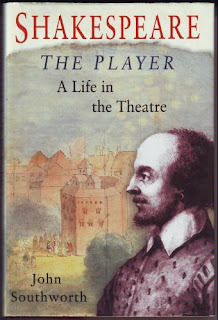 It centers in on Shakespeare as an actor in his own company and in his own works. It reaffirmed a notion I had abandoned in my early days as a theatre artist... a single artist can drive the vision of a piece of theatre from idea to production and be a part of all the stages of that process. I had abandoned it because it seemed pretentious. I was a young artist and there seems to be a special ring of criticism hell for a young artist who has the presumption to wear more than one hat. The world is not looking for a new Orson Welles. So, I stopped being in the plays I directed or wrote. 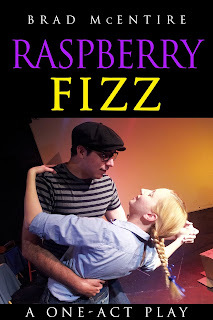 It was only when I drifted, in earnest (beyond some small, tentative early attempts), into solo performance with CHOP that I shook off the old worries about how I would be perceived. Perhaps it is age, but I care less and less how I am perceived as the maker of the work and more and more preoccupied with how the work itself comes across. I am about to return to solo performance with my newest piece about a man haunted by an eternal goldfish and I am excited to continue to play in that sandbox of multi-disciplinary work. 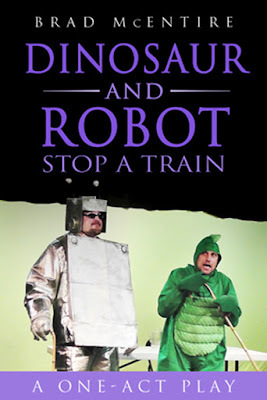 DINOSAUR AND ROBOT STOP A TRAIN opens this week!